I have a five-day holiday and now I come back! I am betting you have seen some cute little girls on the street during Spring Festival and they are dressed so cute and chic by their mum or dad! Every time you saw these little children, will you think that is the look I will dress up for when I have a baby? I know some chic mum want to train a “mini me” after they had a baby, so if you want to be the chicest mother and daughter, just learn from it! About how to create the style of “mini me”, you should combine the color with the elements of design. Try to make the clothes into asymmetry but comfortable. 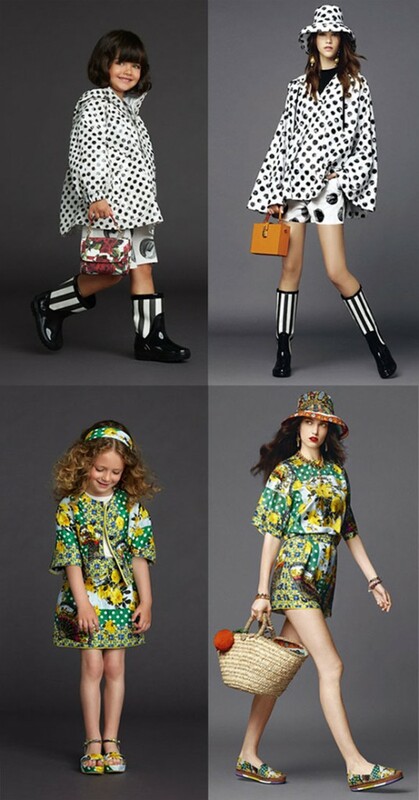 In Dolce & Gabbana 2015 spring NEW LOOK, designers put all the fashion elements together and they are printed flower, splashy prints, geometrical pattern and embroidery. 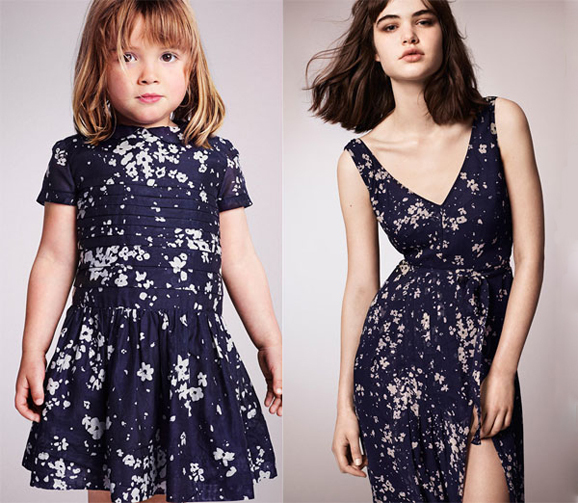 You should know that, many years ago, children’s clothing is made so chic as women fashion clothing, so what are you waiting for? 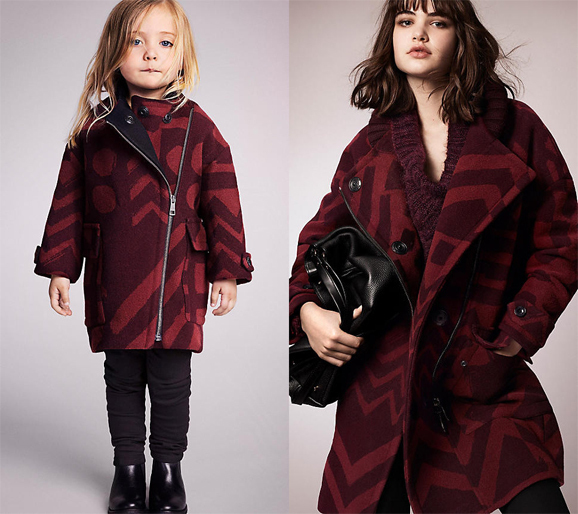 If you love the British style, you can also find Burberry 2015 spring Child Clothes and BRIT 2015 as reference. 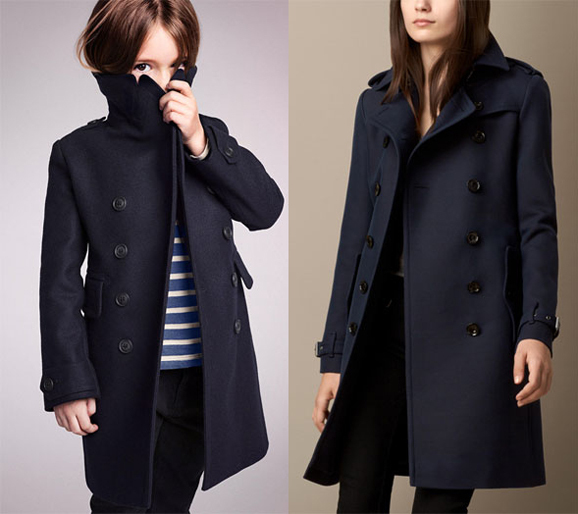 For example, choose some wide and soft coats if you are afraid of cold. Remember, this “mini me ” style is not necessarily have to be the same with your mum, same materials but different cutting can also appear special styles from you to your daughter! Just come and get a “mini you”, I am sure you and son/daughter will be the spot light in the street!